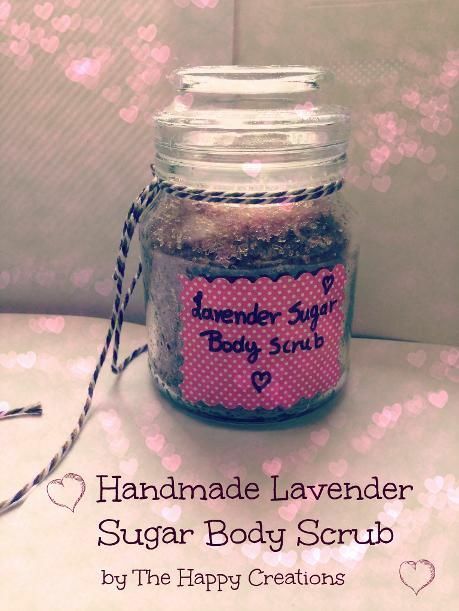 They say handmade things are unique and contain love.I truly believe this. As you may know, my friend is getting married and she wanted a handmade budget-friendly wedding with character and love.So wedding fever is on.We still have some last minute preparations for the big day. There are so many things we made for this wedding I think I might have to create a wedding series. 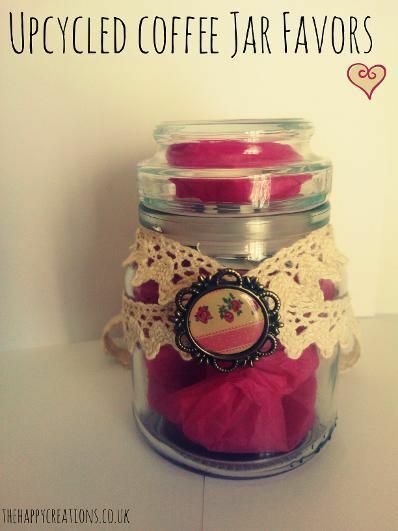 Here are the wedding favours our lovely bride chose. More favours will follow. 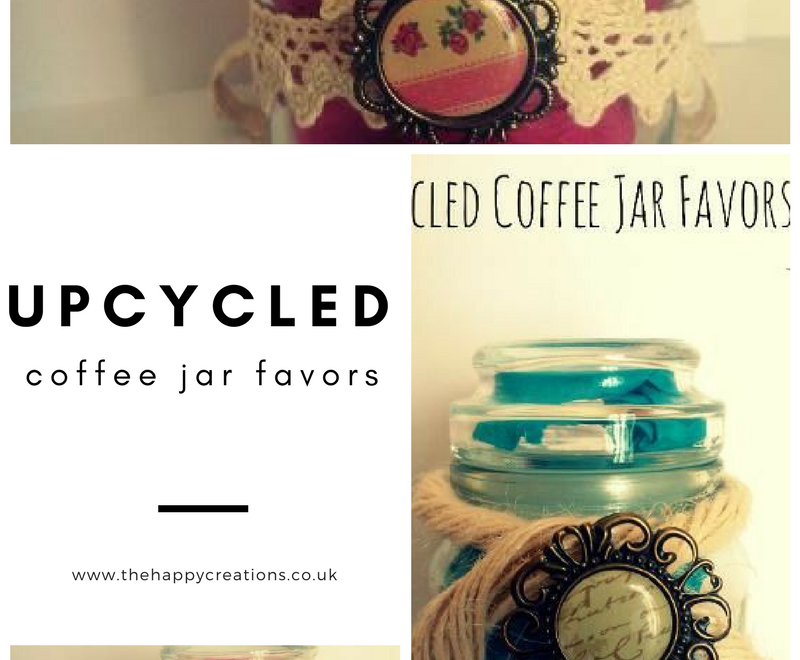 I’ve used empty jars from my favourite coffee, I have so many!!! 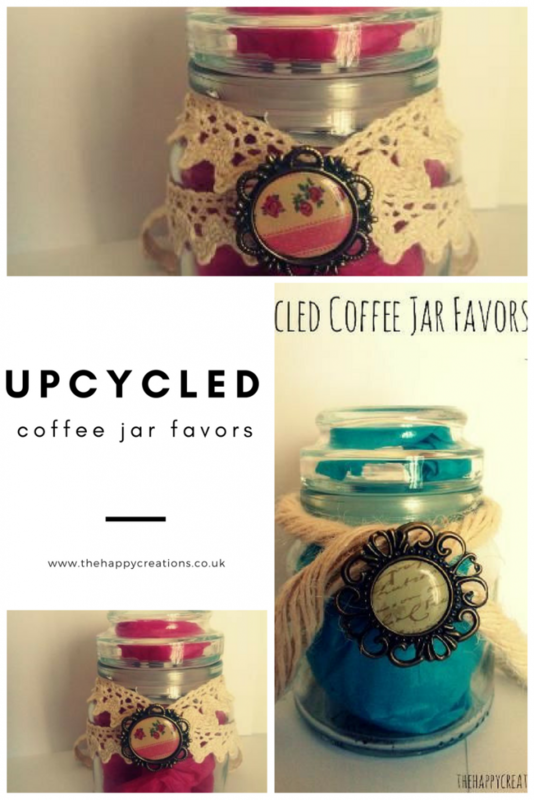 (I love their coffee and their jars are so adorable). 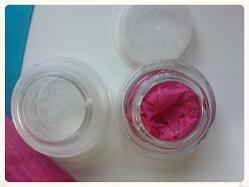 I removed the plastic lid inside the top of the jar by using a knife and added some tissue paper to give it some colour. I folded the sweets in tissue paper. We are going to make mini macaroons. Don’t you just love them? I made thank you notes with scrapbook paper. I cut it using decorative scissors and I then folded it. All signed by the couple. 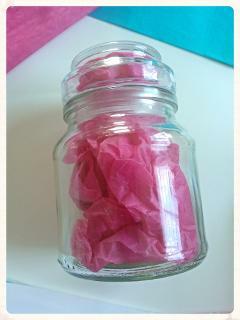 Finally, I decorated with a ribbon and a nice embellishment (I glued them all in the jar). 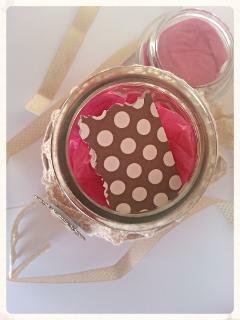 So here’s our upcycled coffee jar favors, made with love. 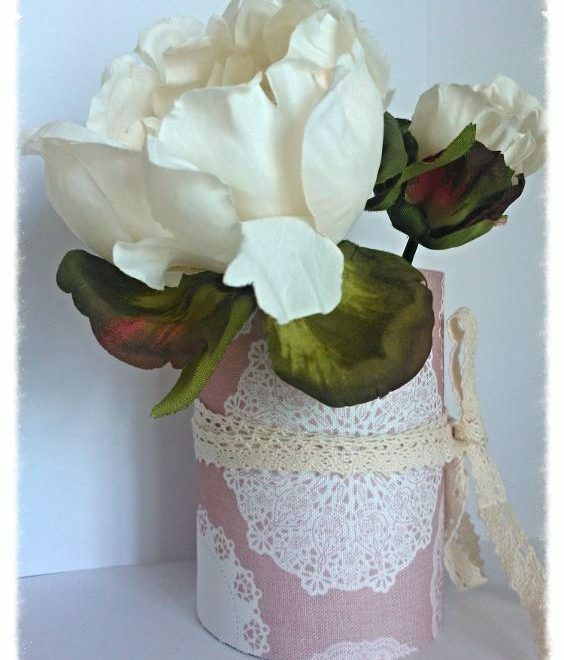 They can be wonderful for a zero waste wedding favors or special gifts. Whatever you do make it with love and it will stand out from anything else. 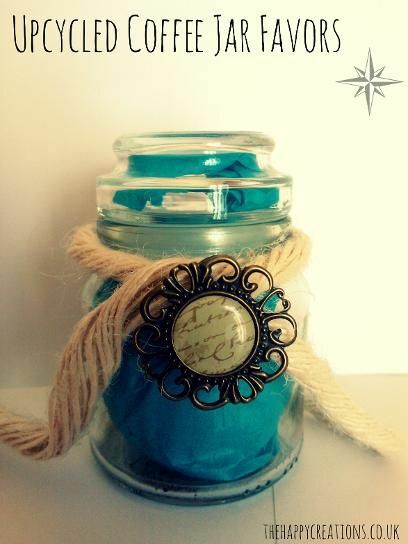 The whole process of making things with family and friends for something special as a marriage it is certain that these jars will contain more than just sweets put true and positive love. 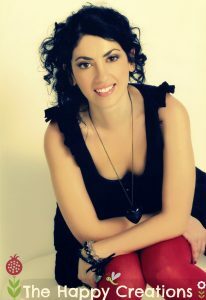 Have fun and smile. Create and be happy.